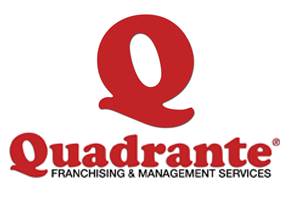 Based in Milan, Italy, Quadrante is a dynamic franchising consulting company that provides professional services for the launch and development of the franchise business. we have built a strong reputation and leadership as one of the mosto professional franchise consulting organizations in Italy and abroad, as it employs a management team that has a long history in the world of franchising. We provide innovative services of the highest professional standard with complete independence and seriousness. Our services to enterpreneurs are carried out by a team of consultants coordinated by Dr. Antongiulio Viscione, for years collaborator of giuseppeBonani, one of the founders in 1971 of the Italian Association of Franchising and Past President of the same from 1980 to 1990 . From about 20 years, Quadrante has followed national and international projects for both the classic “worldwide brand” (like Levi’s and Bialetti) and for national business in many different fields. We have helped industrial firms to enter the world of retail and we have supported our clients in their expansion. For us, it’s not about “big” or “small”; our aim is the success of our clients. Our philosophy is simple: without solid foundations, a franchise system cannot have a lasting success. Bachelor of Commerce from Bocconi University in Milan he is the C.E.O. of Quadrante and senior consultant in franchising strategies. Untill 2005, he had been Managing director of the Triumph International Retail unit dedicated to the franchise and retail development in Italy and formerly National Account Manager for Henkel. Professor at Assofranchising (Italian national Association of the franchising), hesupervise all the franchise projects, from the first steps regarding the system and model implementation up to their final and practical development. If you are a Franchisor who is exporting or planning to export your concepts internationally you’ve come to the right place. We can help you develop your international franchising business and to take it all over the world in a fast, cost-effective and reliable way.